How Long Does My Personal Injury Lawsuit Take? As personal injury attorneys, we are often asked: how long does a lawsuit take? The question is understandable. If you have suffered an injury, you likely need financial compensation immediately to help you recover. For example, car crash victims need to pay their vehicle repair bills. Victims of slip and fall incidents may need chiropractic care. Unfortunately, there is no simple answer. Every personal injury claim is different and the timeline for either settling claims or bringing them to trial will depend on many factors. The purpose of this article is to describe the stages of the legal process so that you know what to expect when you hire a personal injury lawyer. The first factor in determining how long your case will take from injury to resolution will be your medical treatment. If you have been injured, seek medical treatment as soon as possible. it serves as proof of your injury to insurance adjusters. Naturally, your medical care and your health are the most important things that you should worry about after an accident. You should not be calling your attorney from a hospital bed. Depending on your injuries, you may require different types of treatment that may take different lengths of time to recover enough to speak to an attorney. Conservative treatment generally refers to either intermittent medical appointments or alternative therapy treatments. For example, if your treating physician tells you to see a chiropractor after a car accident, your chiropractic care would be considered a conservative treatment. Patients may undergo conservative treatments for anywhere from one to fifteen months. While you are undergoing conservative treatment, you should take the time to contact an attorney as soon as possible to start the insurance claims process. More aggressive forms of treatment generally include some type of surgery or other significant medical correction. As we said earlier, we do not want you to be calling attorneys from your hospital bed. However, we would advise to contact an attorney as soon as reasonably possible. In life threatening situations, trauma surgery will occur immediately, but in other cases you may need to wait before a surgeon can take you. Recovery from surgery differs depending on the procedure and the severity of the injuries. Also known as “MMI,” Maximum Medical Improvement refers to the time it usually takes to go from injury to full and complete recovery. In the average case, it takes six to twelve months after surgery to reach MMI, but cases will differ based on the injury. Many surgeries are successful and can be easily recovered from with bed rest. For accident victims with certain types of injuries such as loss of limb, however, full recovery will never occur. Once you have reached the recovery stage, you should already be working with attorneys about your claim. 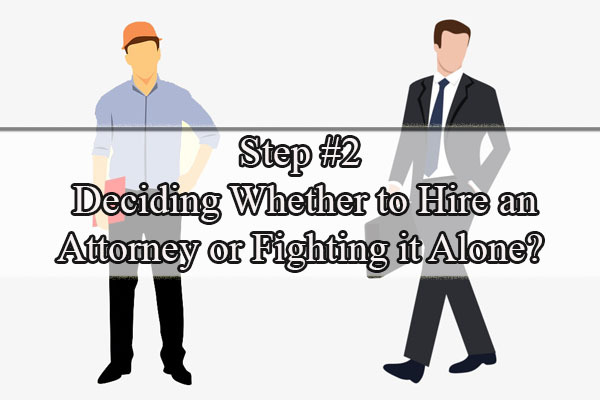 Step 2: Deciding Whether to Hire an Attorney or Fighting it Alone? It is generally not a good idea to attempt to settle a claim on your own. It is almost never faster than hiring an attorney to file a claim for you, nor is it more lucrative. You can certainly settle a small personal injury claim yourself, although a lawyer is generally useful even in filing small claims for several reasons. First, personal injury attorneys and insurance adjusters often know each other through their prior cases, which can create a beneficial working relationship that can expedite the claims process. Second, insurance companies view unrepresented parties as opportunities to nickel and dime the settlement process. If you hire an attorney, your first offer from the insurance company will normally be higher because they know you mean business. Without an attorney, however, you may need to undertake a stressful and lengthy “negotiation” process with the insurance adjuster before you get the compensation you deserve. If you have a large injury claim, you will absolutely need a lawyer to recover from significant injury claims such as injuries that put you out of work or where your medical bills alone are more than two to three thousand dollars. This is because large claims will normally go beyond the realm of insurance claims and enter into the courtroom. 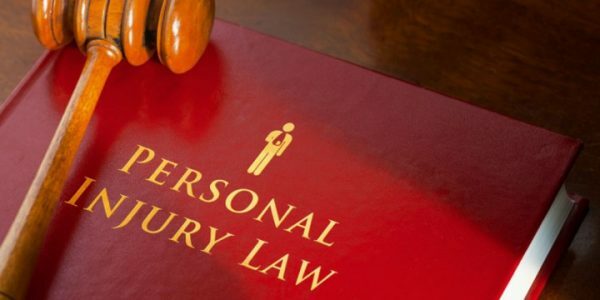 Personal injury attorneys are intimately familiar with courtroom procedure and good attorneys can navigate the litigation process thoroughly and efficiently. There is a common perception that lawyers and lawsuits are slow and take time, but this view is only half correct. As a general rule, your personal injury attorney has an incentive to resolve your case quickly while seeking the maximum dollar possible. This is because most personal injury attorneys work on a contingency basis, which means that the attorney gets no money from you (aside from an occasional initial retainer fee) until you get your settlement or court judgment. While working under a contingency, your attorney will want your case to move as quickly as you do. There are many different ways to go about selecting an attorney, and the process could take anywhere from one day to over a month depending on the nature of your claim and how lucky you are with the attorneys you find. If you require help in the attorney selection process, our law firm has additional advice that you may find useful. 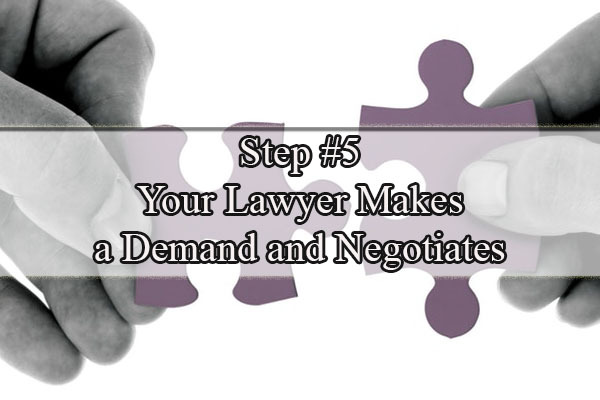 After you choose a lawyer and sign a fee agreement, he or she will start working on your case. The first step in the legal process involves an attorney review of your claim and medical records. During this stage, your attorney will ask you countless questions and thoroughly review all of your medical records. This initial claim review is useful for two reasons. First, the review will help your attorney become acquainted with you, your needs, and your injuries. This will help you and your attorney develop a better working relationship as the litigation process moves forward. Second, the claims review process is used to determine the ultimate value of your case. From the beginning, your lawyer will be making decisions about how much he or she believes your case is actually worth and what type of legal strategy may best suit you. It may be that your personal injury claim may turn or not turn into a lawsuit and will instead be resolved by insurance negotiation and a pre-suit settlement. In other cases, a court filing will be necessary. This review process generally will not take longer than a couple of days. Most people are unaware that over 97% of injury claims are resolved by settlement before any of the attorneys ever step foot in front of a jury. The claims negotiation process has become an integral part of the legal system and can allow you to receive compensation early. However, you should be aware that this is truly a negotiation process, and will take time. Generally, your attorney will begin by sending a demand for damages and injuries sustained that is more than what you would expect to actually receive. Then the insurance company will make a “lowball” settlement offer. Most insurance company settlement offers made within a few weeks of an accident taking place are low. These offers are made in an effort to dissuade accident victims from pursuing their claim. Often, these offers will not take into account your lost wages or pain and suffering. From these initial offers, your lawyer will try to negotiate a settlement for you. If a pre-suit settlement cannot be reached, your lawyer will file a lawsuit. 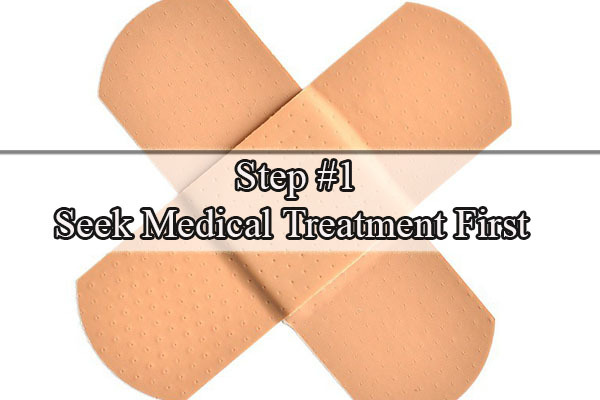 Note: This process could be largely affected by the medical recovery process. A good lawyer will generally not make a demand until the plaintiff has reached a point of maximum medical improvement (MMI). This is because the lawyer will then be able to leverage the full known extent of your injuries. The first stage of this pleading process involves the filing of a complaint. Once the complaint is filed, the defendant to the lawsuit has 20 to 30 days to file a response, depending on the method of service used to put the defendant on notice that he/she/they have been sued. Most lawsuits will be responded to with an answer. An answer will simply move the lawsuit onto the discovery or dispositive motion process. In other cases, however, the defendant may make another type of response which could draw out the pleading process. Before a personal injury case goes to trial, a process known as discovery must take place. Discovery is the legal process by which the parties to the lawsuit can obtain evidence from one another. The discovery process typically includes interviews, short questionnaires, depositions, and requests for documents. Depending on the nature of the case, the length of the discovery process will differ dramatically. For example, most car accident claims will conclude discovery within six months (many will conclude discovery even before then). In a more complex type of case such as a medical malpractice claim, however, the highly technical nature of the case could result in a years-long discovery process. During the discovery process, it is also common for the parties to continue negotiating toward a settlement. A mediation or settlement conference will occur. 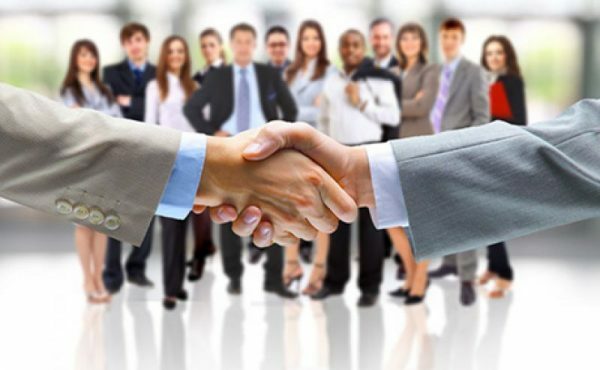 A mediation is a structured settlement conference where the lawyers and the parties hire a professional mediator to assist the parties in reaching a settlement. 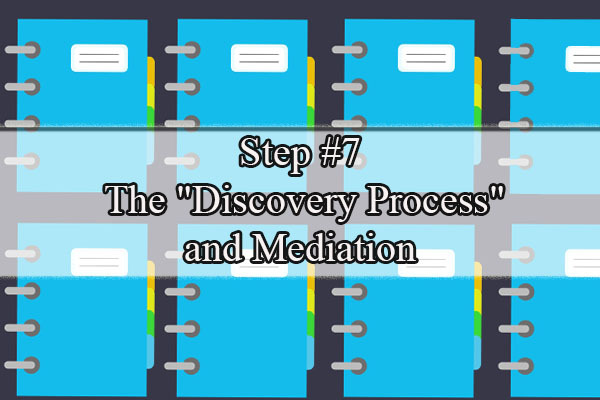 Most mediations are successful because of evidence that is uncovered during the discovery process. A personal injury trial can last a day, a week, or even longer. Typically personal injury trials in New York will average between 3-10 days. The length may be either increased or decreased in other states due to changes in court rules and docketing procedures. the jury deliberates and reaches a verdict. The completion of the trial does not necessarily conclude the lawsuit. After a trial, both parties to the lawsuit generally have a right to appeal the outcome of their case to a higher court. If a party feels an error was made at trial by the judge, he or she might file a motion for rehearing, a motion for reconsideration, or an appeal. An appeal starts a whole new series of legal proceedings that can last for months or several years. Less than half of one percent of personal injury victims will ever have a case reach the appeals state, either because the case never reached the trial stage or because an appeal is unnecessary. If no appeal is filed, enforcing the judgment may also take time. Sometimes discovery in aid of execution must take place in order to locate a party’s assets that can satisfy the judgment. Again, this process can take months or even years depending on how forthcoming the party is. As a general rule, there will be matters for the attorneys to resolve for at least thirty days after the trial is completed. 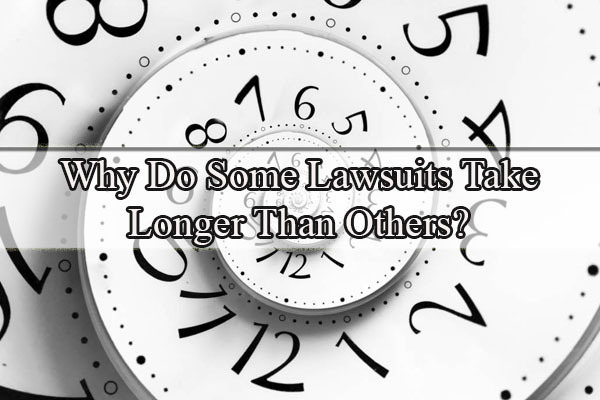 Why Do Some Lawsuits Take Longer Than Others? As you can see, there is a wide possible range of time in which a personal injury claim could be resolved. In general, most substantial claims will not be resolved within a year, and many claims can take upwards of three years and longer, to finally get through trial and the appeals process. You do not hire an attorney and represent yourself in a court. It is always advisable to hire an attorney when taking or responding to any sort of legal action, especially when an insurance company may be involved. Have you been injured in an accident before? 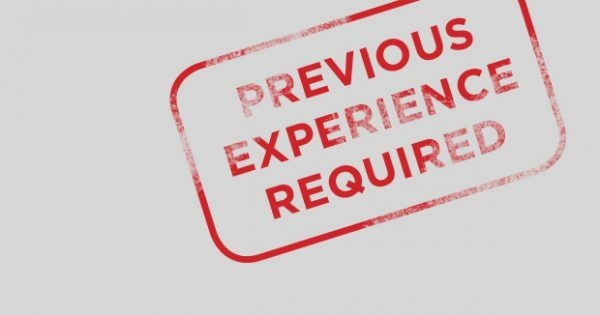 We would love to hear your story about how long your lawsuit took, as we are always looking for new tricks to expedite the process for our clients. How long do you think a lawsuit should take and is the recovery worth the wait? 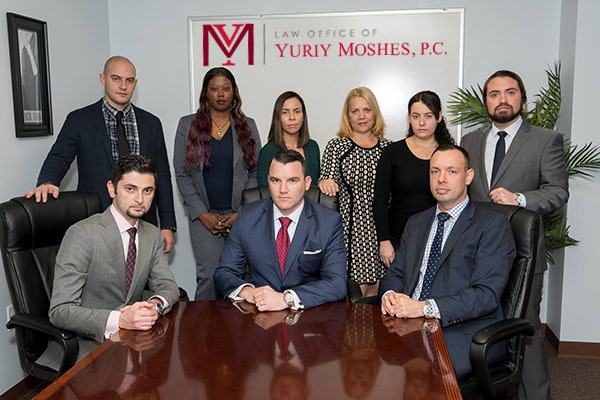 The Law Office of Yuriy Moshes is a full service personal injury law firm with offices in New York and New Jersey. We take the claims of our personal injury clients seriously and litigate claims vigorously on their behalf. Vetting your personal injury attorney is one of the most important factors of a successful case. One of the best ways to determine if an injury attorney is right for your case is to simply ask them. Attorneys love to talk as a general rule, and if you ask the right questions, you should be able to determine if they are the right fit for your case. 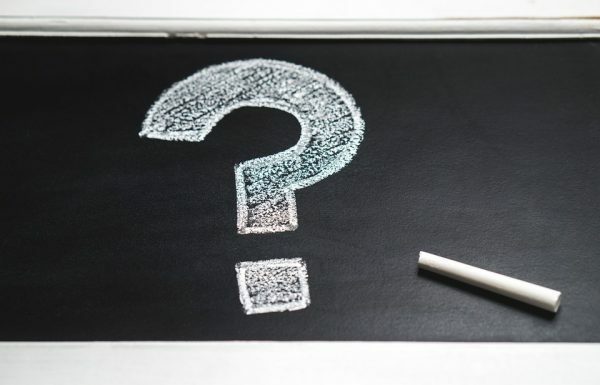 If you have a legal claim and are seeking to hire a New York or New Jersey personal injury attorney, you should come prepared with some important probing questions. While not strictly a question, this is probably one of the most important questions you can ask. Lawsuits tend to vary in length; however, some more serious cases can take years to resolve. If you are going to be working with one attorney for an extended period of time, you should develop a rapport. Make sure that you like the attorney. 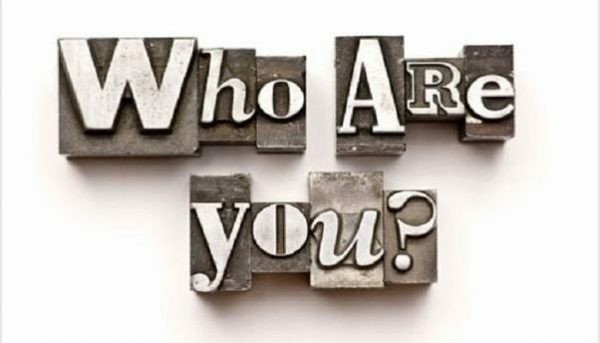 Asking him or her about himself/herself could help you determine whether you can have a good working relationship. You don’t have to love your injury attorney, but you should be able to have a conversation. 2. Will It Be Just You Handling My Case? Law firms tend to work as teams, and while one attorney will probably take the lead on your case, other attorneys may work with your case. The same is true for paralegals and secretaries. You should try to meet everyone that will be involved in your representation so that you can at least put faces to names if you receive an important phone call or email from someone you do not know. 3. What Types of Cases Does Your Firm Generally Handle? This is a no-brainer. More and more attorneys focus their practices on certain areas of law. Make sure that the attorney you are hiring handles personal injury cases on a regular basis. It does you little good to hire a criminal defense attorney who occasionally handles personal injury cases, and no good to hire a bankruptcy attorney who has never handled a personal injury case in her life. 4. Have You Handled Cases Like Mine Before? Many personal injury attorneys have sub-specializations such as medical malpractice or car crashes. Some law firms even specialize in bicycle law (as an extreme example). Generally, a personal injury lawyer should be able to execute any type of personal injury case, but narrowing down a firm’s specialization even further could benefit your case in the long run. 5. When Did You Go to Law School? 6. What Do You Think the Value of My Case Is? While many attorneys may not admit it (unless they decline to take your case), all attorneys immediately assign a hypothetical dollar value to a case. It could be high or it could be low depending on the facts and circumstances. One way to shop for attorneys is to determine which attorneys value your claim higher because that will influence not only the money you might receive in court, but also how hard the attorney works on your case. 7. How Much Will It Cost Me To Hire You? While success is a very important piece of personal injury representation, the price also has to be right. Be comfortable with your attorney’s fees, or you may have buyer’s remorse. Different attorneys charge different rates, and knowing where you stand financially ahead of time is important to making a decision. Generally speaking, attorneys will charge a contingency fee of one-third of the amount recovered on your case. 8. How Do You Charge Your Clients? Another financial question, this focuses on payment form. There are three types of attorney’s fees: upfront retainers, hourly rates, and contingency fees. Upfront retainers merely involve upfront payment and are used only for simple issues. Personal injury defense is most likely to be undertaken at an hourly rate, which will vary for each attorney. Personal injury victims’ cases are most likely to be contingency fees, which involve the attorney taking a percentage of the final judgment amount or settlement. 9. Is There Anything That I Can Do to Help You Win My Case? There are two types of attorneys: those who are hoarders and those who are sharers. Hoarders do all of the work themselves and won’t let anyone else touch their case for any reason. Sharers enjoy seeking help from others and often delegate certain tasks to clients to help prepare for their case. Different styles seem to work better for different clients. If you want an attorney to take your case, run with it, and call you when you can get paid, then a hoarder personality is for you. If you want to stay up to date and be involved in the legal process, a sharer is your ideal attorney. 10. Do You Know of Any Attorneys That Would Be Better for My Case? If you are not getting the best impression from the personal injury attorney sitting in front of you, it could never hurt to ask for a referral. Attorneys tend to know each other pretty well, and an attorney who specializes in car accident claims could help direct you to your unicorn medical malpractice attorney. If you would like to cross-examine our team of attorneys about your personal injury claim, call the Law Office of Yuriy Moshes. Our law firm practices personal injury law, and we have personal injury attorneys licensed in New York and New Jersey.